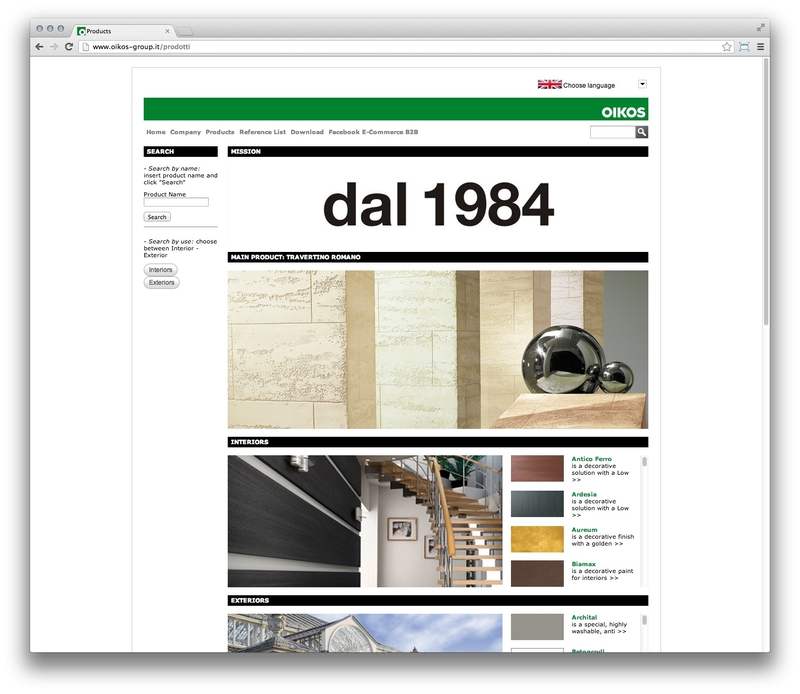 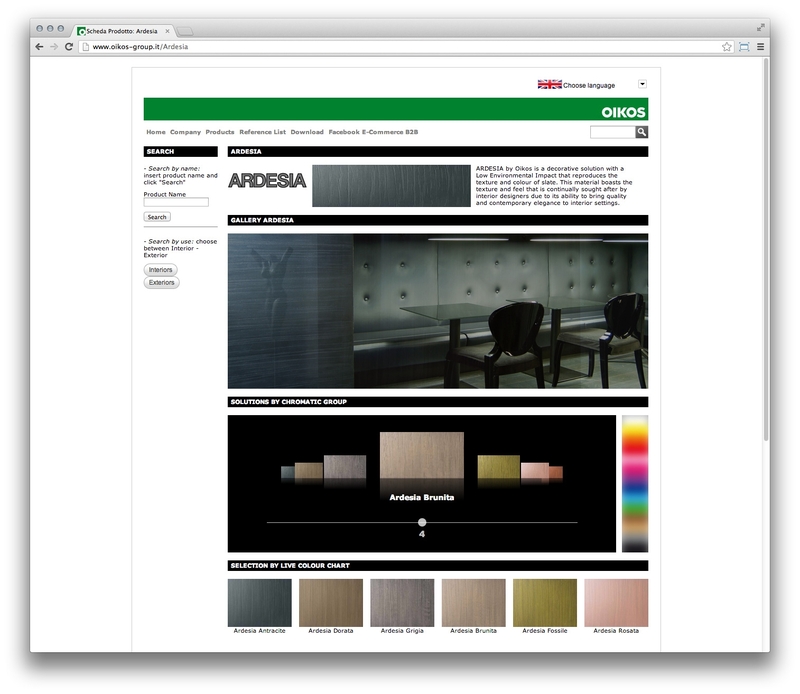 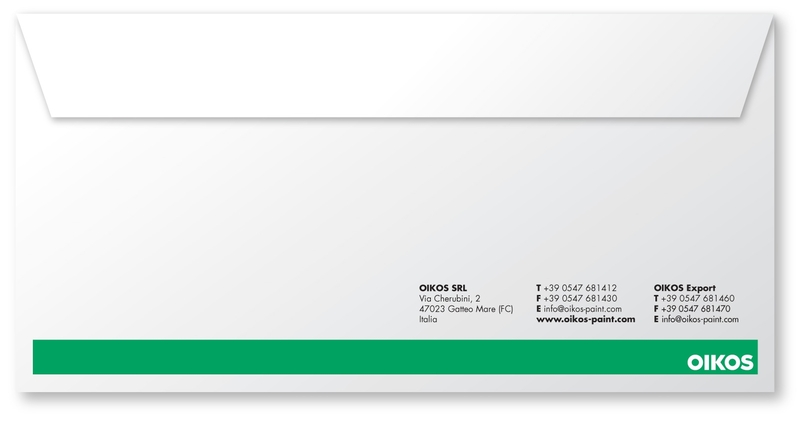 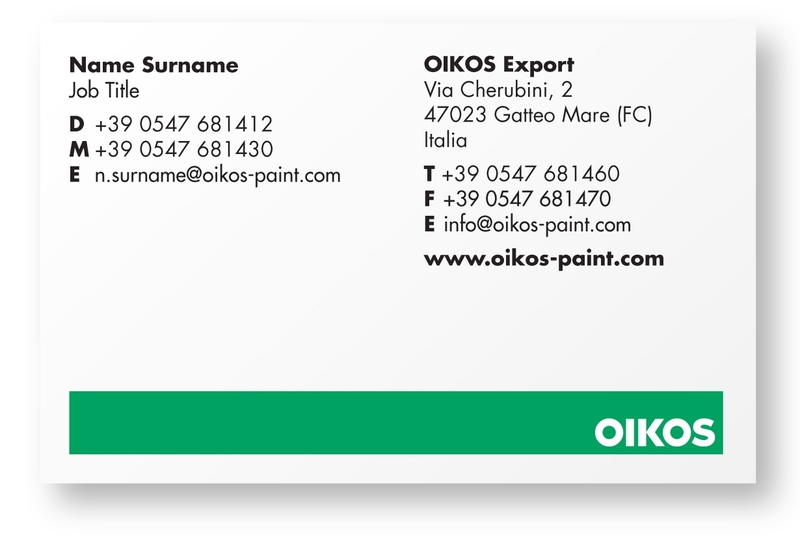 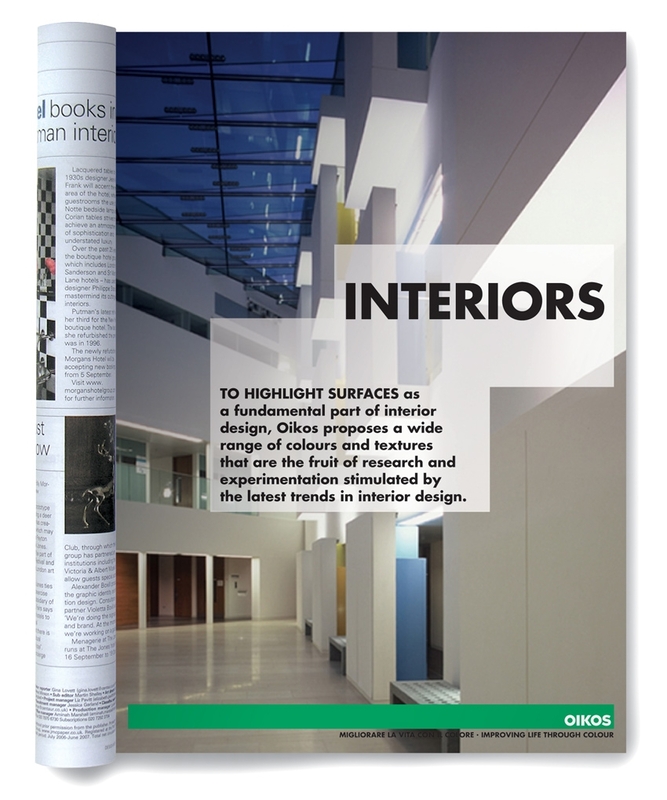 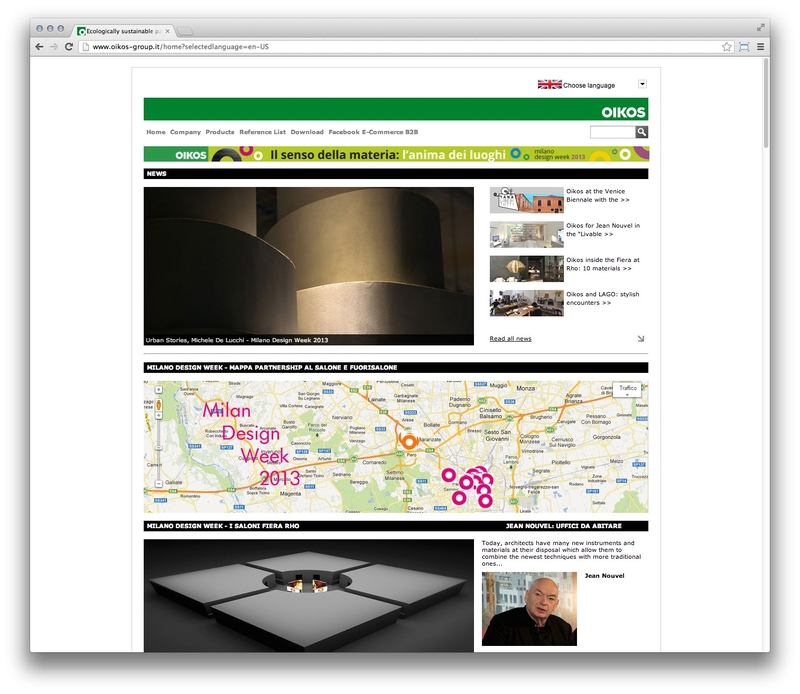 OIKOS is one of the leading Italian manufacturers of interior and exterior finishes, paints, and plasterwork. 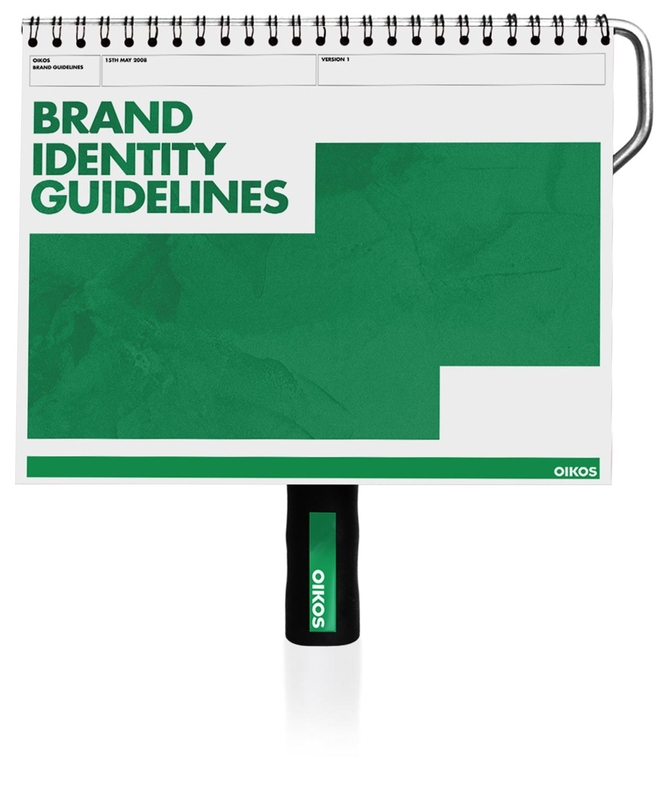 Rebranding and repositioning the company with a new strategy, brand architecture, and identity required an understanding of their core values as well as the conditions of the industry. 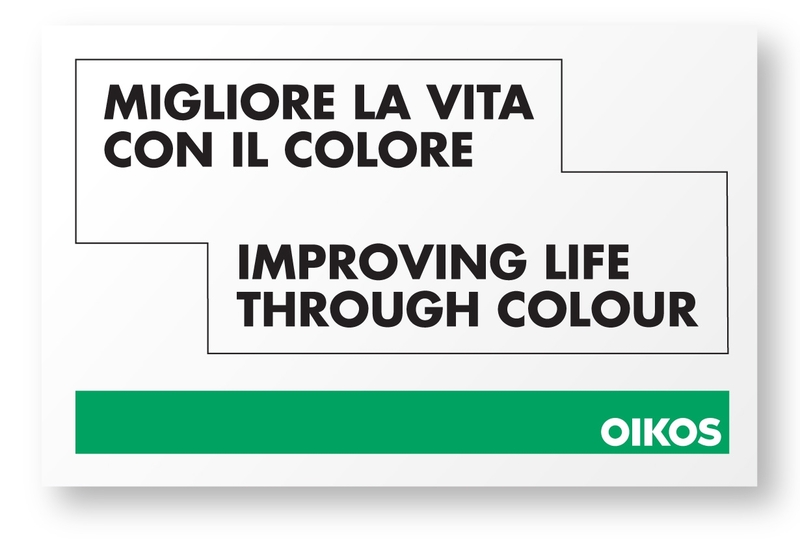 OIKOS’s primary concern has always been producing environmentally safe products in a sustainable, eco-friendly way, a pioneering philosophy for the paint industry traditionally associated with toxic chemicals. 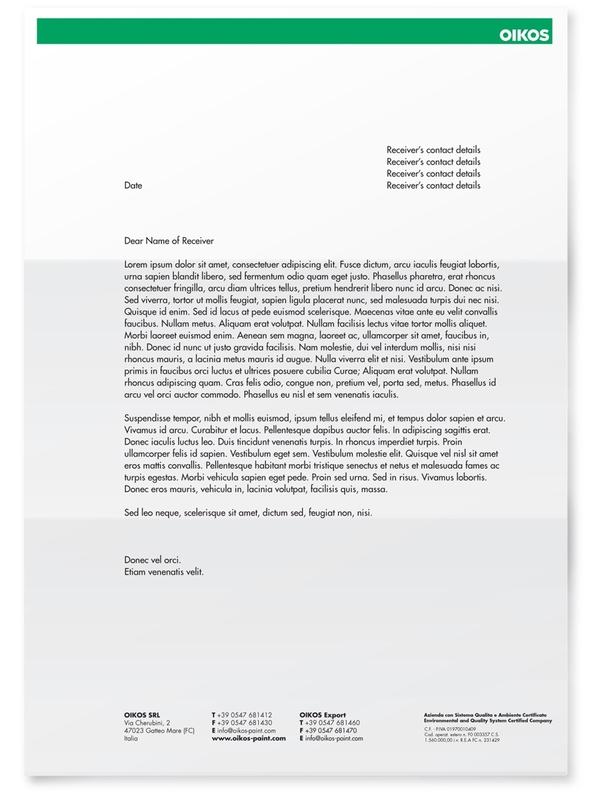 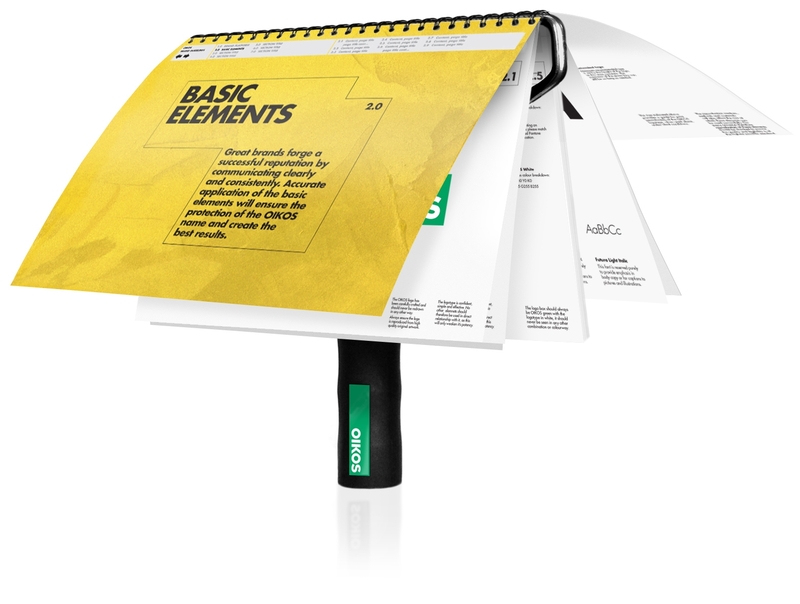 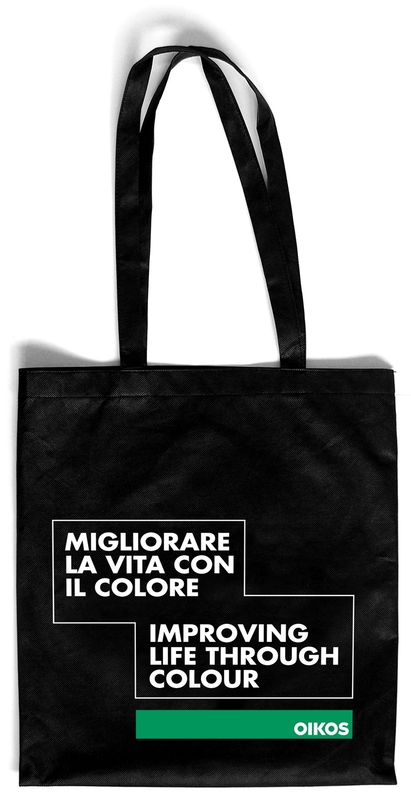 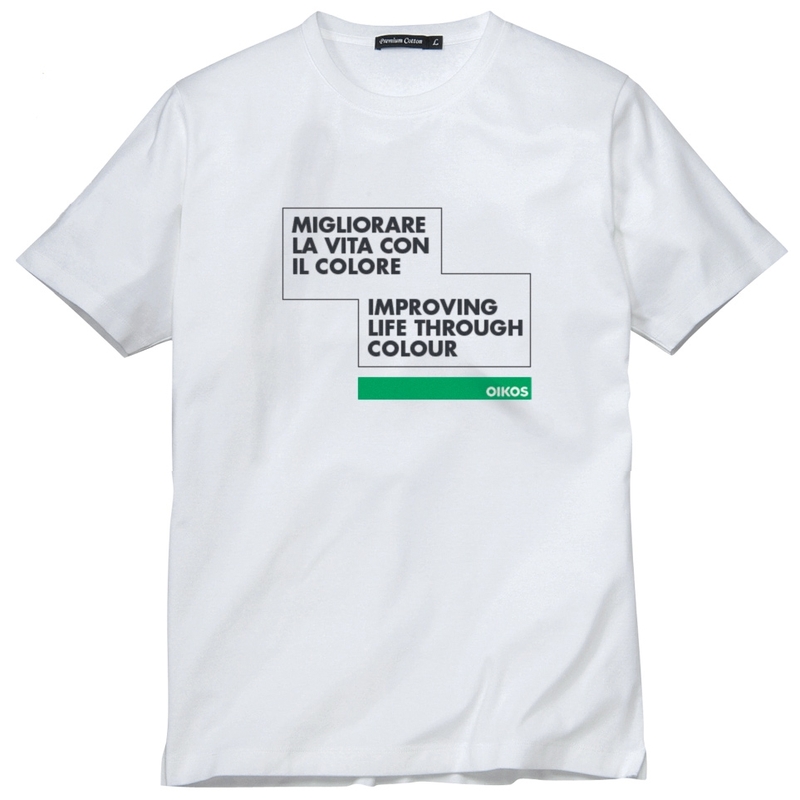 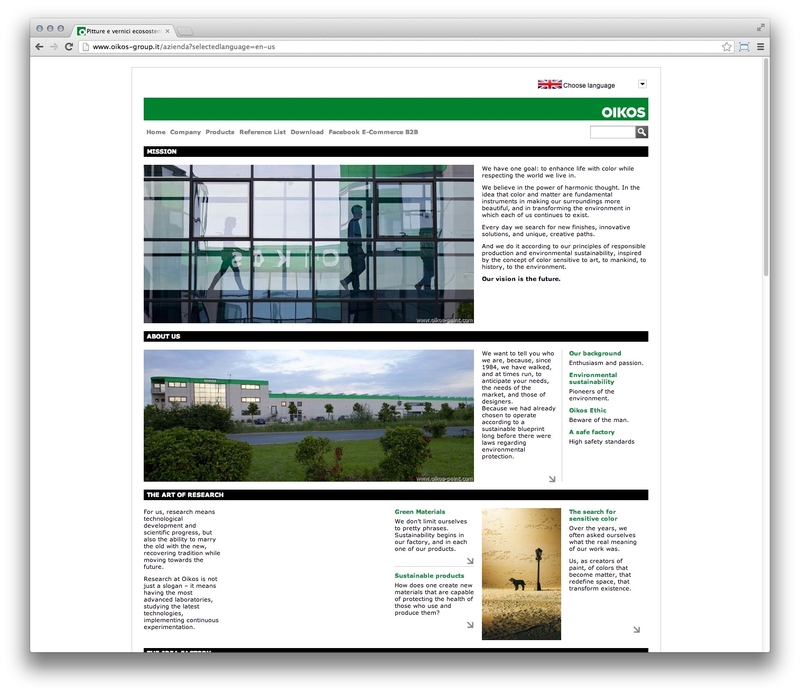 The ethical concerns of the company were translated visually with the use of green as primary brand colour. 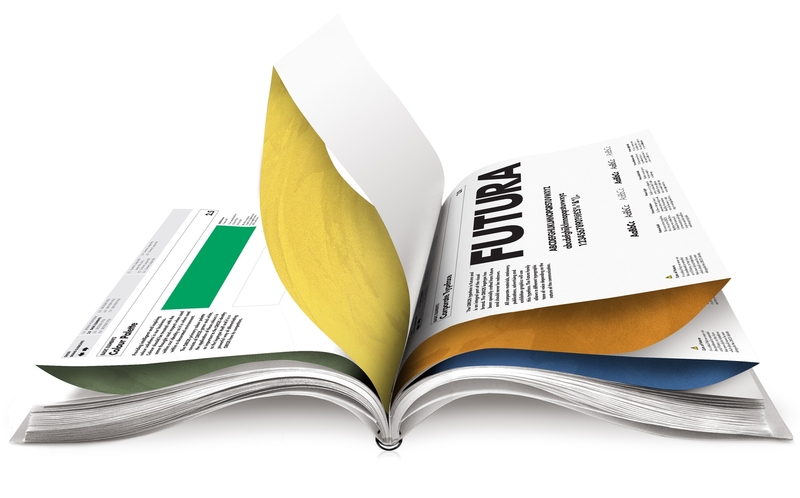 The visual language of the brand abstracts the movement of applying paint on a wall and translates it into a crisp house-style, which allows the implementation of straightforward and organised information and literature systems.